Enough already - Hurricane Sandy has hogged this site for most of the past couple of weeks. And while there still may be a story or two I will want to pass along over the coming months, it's time for a final focus on the topic with some items that didn't get headlines, but were pretty darn interesting nonetheless. Item #1: Time lapse hurricane. 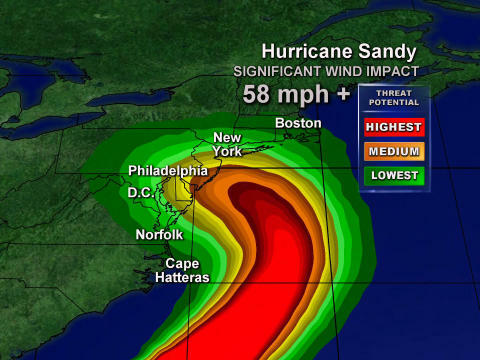 In a mere 2:08, you can watch Sandy blow through New York.